Farmers have reaped the fields and gathered the crops, it’s now time for thanksgiving and celebration. Thai Pongal marks the 10th month of the Tamil calendar and the beginning of the sun’s northern journey into the constellation of Capricorn. Pongal literally means a sweet concoction of rice, jaggery and milk. As such, it’s a time for farmers to treat themselves to a time of festivities, and give thanks to the spirits of nature, the cattle and the sun gods; as well as for the rest of the community to give thanks to the farmers for a bountiful harvest. A four-day long festival begins with the day of Bhogi; a time to throw away the old and welcome the new. Bonfires are lit and unwanted items around the house are thrown into the flames. Houses are prepared for the dawn of the main day in several ways. Floors are washed with turmeric water and the entrance decorated with banana and mango leaves readying for Perum Pongal. On the day of Thai Pongal, families are awake before sunrise and the women take upon themselves the tasks of drawing Kolam murals on the turmeric-washed floor – a colourful decorative that symbolises happiness and prosperity. Thereafter, takes place the most symbolic ritual of all. The boiling of the milk pot. Each family member gathers around a makeshift fire and eagerly waits for the milk to boil, bubble, rise and spill over an abundance of prosperity. A cheer of “pongal pongal” fills the air as everyone takes a moment to worship the gods. After which, a lamp is lit and a choice of festive feasts are offered to the sun gods. The rest of the day is spent with visits to the kovil and to relations, merrymaking with loved ones and colourful celebrations. The third day of celebrations known as Mattu Pongal is a day dedicated to the cattle. A special companion in a farmer’s life – the cattle – are bathed and groomed. Their horns are painted and their necks garlanded with colourful flowers. Known as Jallikattu, cattle races are held – as done in ancient courts of Tamil kings. Kannum Pongal is the last day of festivities when the leftover delicacies are kept on a banana leaf and everyone gathers around it to invoke blessings on the family and loved ones. More visits to and from relations take place on this final day as well. There are many legends relating to the festival of Thai Pongal. Celebrated by Tamils worldwide, traditionally, Thai Pongal is the custom of farmers offering the first bags of harvest to the guardian deities in appreciation of all the blessings bestowed looking forward to a prosperous year ahead. It is a time for family reunions. Personal animosities are forgotten as everyone joins in on the celebrations, making Thai Pongal one of the most spiritual festivals celebrated. Stay close to your loved ones this festive season with Ceylon Exchange and contact us to learn more. The Chinese New Year in Australia, also referred to as Lunar New Year, is one of the most important holidays to the local Chinese community. The holiday is a two-week festival filled with reunions among family and friends, an abundance of delicious food, and wishes for a new year filled with prosperity, joy, and good fortune. Much like the celebration of the New Year in the Western world, the Chinese New Year is all about the spirit of renewal. The holiday’s traditions, symbols, and rituals are all meant to wipe the slate clean and prepare celebrants for prosperity, good luck, and happiness in the new year. The Chinese Zodiac runs on a cycle of 12 years, with each year denoting one of the 12 animals. This year is the Year of the Pig. The pig is a symbol of wealth and is the yin component of yin-yang. Kicking off festivities is the ‘Little Year’ on January 28th, with the Spring Festival officially beginning on February 5th (February 4th is New Year’s Eve) and ending with the Lantern Festival on February 19th. 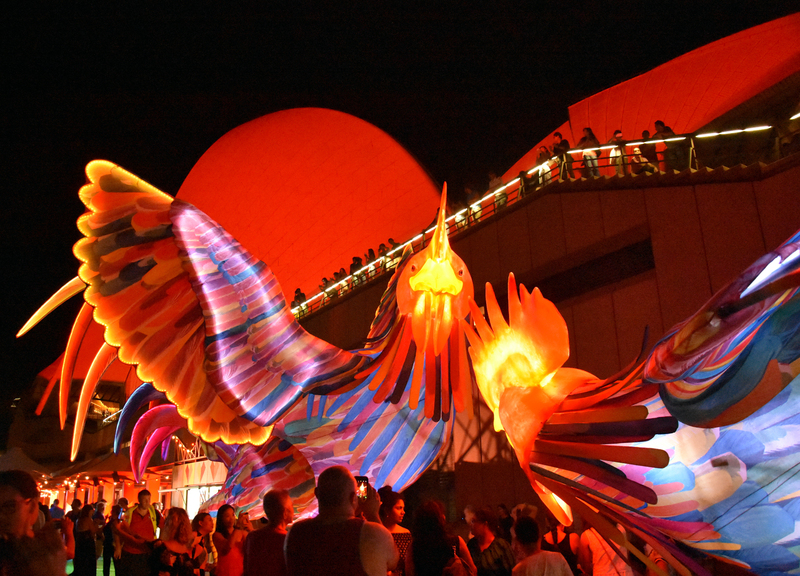 Continue reading to find out how the Chinese New Year is celebrated in Australia! The Chinese New Year wouldn’t get off to a good start without the all-important reunion dinner. Considered the main meal of the season, the family dining table is laden with auspicious eats that symbolise a prosperous year ahead. As is the case with almost all significant events, family members gather from far and wide to prepare and feast on a sumptuous reunion dinner that is jam-packed with dumplings, noodles, spring rolls and other delightful delicacies. In northern China, dumplings are a popular food during the Chinese New Year. In the south, it’s more common to see nian gao, a chewy pellet made from glutinous rice. Mandarin oranges, which are considered a symbol of good fortune, are also commonly eaten, displayed, and gifted. The tradition of eating fish as part of the New Year celebrations stems from the fact that the Chinese word for “surplus” or “profit” sounds similar to the word for fish. Thus, it is believed that eating fish and saving a portion of it for the following day will bring wealth into the new year. Red envelopes are cash gifts that are given by senior family members to their junior relations and can range from a few dollars to quite hefty amounts. Traditionally speaking, if you have started earning money, it is time to start your experience of giving Chinese New Year red envelopes. Giving a red packet is a way to share your blessings. Generally, the amount of money wrapped in the red packets depends on your income. Even if your family members have not been able to make it to the festivities, customarily, money will still be passed on. Money transfers come in handy in these times where you can bridge the distance and still spread prosperity and wealth to those relations. New year festivities just wouldn’t be the same without pyrotechnics. Traditionally, it is believed that the loud noise of the firecrackers serves to scare away evil spirits, although nowadays firecrackers are banned in many cities for safety reasons. The colourful traditional dances we see take over the streets are said to bring good luck. The dance is performed outdoors to the accompaniment of drums and cymbals, sometimes as a colourful and exciting street parade. You can always tell when the Chinese New Year is around the corner because of the festive scarlet décor adorning every street, storefront, and home. The colour red is ubiquitous because it is associated with wealth and good fortune in Chinese culture. Red lanterns are hung up in streets, while windows and doors are decorated with posters and papers bearing lucky characters or phrases. Chinese knots, potted kumquats, and golden orange trees are also common. Customarily, families give their homes a thorough cleaning in the days leading up to New Year’s Day. Windows are scrubbed, floors are swept, and furniture is dusted in preparation, sweeping away the bad luck of the past year. In addition, dusting is avoided on New Year’s Day, for fear that good fortune will be swept away. How else can you celebrate the Chinese New Year in Australia? Bring joy and prosperity to your loved ones from across the distance. Visit our site and check out our range of transfer options. Currency appreciation and depreciation are common occurrences in countries and markets that adopt a floating exchange rate. Here, factors on both the local and international level play a role in either hiking or diminishing the value of various currencies. As discussed previously on our blog, these rates have a huge impact on our day-to-day life. Unsurprisingly, currency exchange fluctuations also play a crucial role in the travel and tourism industry – a fact, which explains the presence of an increasing number of tourists on Australian soil. On our blog this week, we take a look at how currency appreciation and depreciation affect the global travel and tourism industry. Continue reading to find out more! Adopting a local perspective, currency depreciation is almost never welcomed with open arms. Needless to say, a downward trend usually causes the cost of living to rise and impacts international trade and exchange, among a range of other factors. One of the upsides of a downward progression, however, is the upswing in local tourism. A local currency that’s depreciating means that travel, accommodation, and a range of related expenses become more affordable for international tourists – a fact which compensates, in some way, for the ill-effects of a downward trend. In Australia, for instance, a record 9 million tourists entered the country in 2017 – a result of the depreciating Australian dollar against its US counterpart. This is noteworthy, particularly because of its effect on the local tourism industry. According to Austrade, this sector supports around 600,000 jobs and generates approximately $123 billion a year – roughly 3% of the country’s GDP. On the other end of the scale, currency appreciation in a traveller’s home country can force the tourism industry to take a hit. While this kind of trend does spell domestic prosperity for nationals, travel and tourism can stagnate, posing its own set of issues. This is especially the case for countries that depend heavily on this sector to boost local employment and the economy. Beyond local currency appreciation, other factors that also threaten travel and tourism include the depreciation of currencies in other parts of the world. This, similarly, can cut off a flow of crucial tourists, who often contribute significantly to local economies. Beyond local currency appreciation and depreciation, if such spikes take place too rapidly in countries around the world, the global travel industry may take a heavy hit. In 2017, the total contribution of travel and tourism to the global economy was 8.27 trillion U.S. Dollars. While depreciation can be favourable for tourism, a volatile market can prove too unstable for people who prefer to plan their holidays over a period of time. Should this industry take a heavy hit owing to economic factors that lie beyond the control of even the most robust governments, therefore, it is likely that travel will prove too expensive for a significant number of people. This may affect certain countries and regions more disproportionately than others. This can also affect labour markets around the world, given that the global travel and tourism industry is responsible for approximately 9.9% of total employment, as per estimates from 2017. Accordingly, 1 in 5 new jobs created last year was a result of activity in this sector. Currency appreciation and depreciation are pivotal forces in the global travel and tourism industry. Given their ability to control the purchasing power of all travellers – a fact, which ultimately determines all other developments in this sector – understanding how this can affect the affordability of travel is important. The next time you’re planning a holiday, take a look at currency exchange trends, both at home and abroad. This way, you get an understanding of just how much you’re likely to spend while you vacation. Pro tip? If the currency value at your travel destination is too high, look for areas in the region with similar attractions and a currency that’s showing signs of depreciation. Curious about the other ways in which currency appreciation and depreciation can affect your travel plans? At Ceylon Exchange, we’re in the business of monitoring currency appreciation. Head to our blog for more travel tips or our currency exchange page for how we can help you plan your next sojourn abroad! Christmas is always a time for festivities, family, and feasting. It’s equally a time for charity and generosity – two values that are near and dear to celebrants around the world. Despite this, however, Lebanese Christmas traditions, in particular, encapsulate all these in a truly memorable way. From Baba Noel’s love for the impoverished to seasonal Dabke routines, our blog this week takes a look at our favourite Lebanese Christmas traditions – as shared with us by our loyal customers! Take a look below and share in the true spirit of Lebanese customs this Advent! While Christmas is typically viewed as a Western holiday, Lebanese Christmas traditions incorporate local customs, spices, and traditions. During this season, families both at home and abroad undertake preparations for a variety of mouth-watering dishes. These include the traditional Kebbeh pie – a delectable combination of tender minced meat and burghul, which is a form of parboiled groats – chicken with spiced rice, teeming platters of hummus, beat, and tahini salad, and fresh Tabbouleh – a salad incorporating some of the freshest middle-eastern produce. For those with an unrelenting sweet tooth, Buche de Noel or the Yule Log, as we know it, is prepared alongside a creamy Meghli. The latter is often made to celebrate the birth of newborns, such as Christ’s in the month of December. In addition to this, meals are also accompanied by candied almonds alongside a strong cup of Lebanese coffee – usually served to guests who drop by. Dabke is a traditional middle-eastern dance, which plays an influential role in the customs and traditions of the people living in this region. This dance is usually adapted for the Christmas season and is a lively affair involving the participation of friends and family. This is done to a variety of native tunes and the darbouka (golden drum) – a traditional Lebanese percussion instrument. Here, participants join hands and move about in a circle or semicircle. In most instances, these dances are planned in advance and involve eye-catching outfits highlighting the pomp of the Christmas season! Another eclectic Lebanese Christmas tradition is the incorporation of Baba Noel for seasonal celebrations. Considered to be the Lebanese Santa Claus, Baba Noel or Papa Noel is similarly tasked with giving local children wonderful toys. There are, however, a few notable differences, the most significant of which is that the Lebanese gift-giver prioritises needy children, instead of the stereotypical good boy or girl. Another difference? Baba Noel prefers to walk in through the front door instead of shimmying down the chimney. Similar to other Christian communities, another popular Lebanese Christmas tradition is the crèche, also known as the nativity scene. 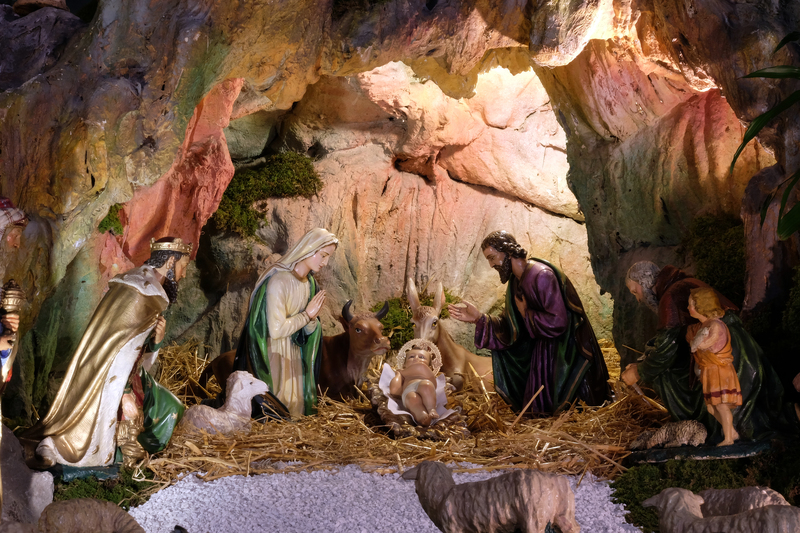 While these displays do include the standard figurines of Joseph, Mary, baby Jesus, and the like, the primary difference here is that the scene is staged in a cave instead of the traditional manger. In addition to this, the crèche is also decorated with chickpeas, broad beans, lentils, oats, and other seeds that are placed on cotton and allowed to grow. This arrangement is a standard part of most, if not all, Catholic homes, where the crèche often serves as a makeshift altar, where families gather to pray during the season. Lebanese Christmas traditions play a central role in the lives of the Lebanese – whether they’re at home, in Australia, or any other part of the world. With these customs, staying true to the spirit of local celebrations and the true meaning of Christmas is not just a yearly ritual. It brings together families, friends, and entire communities together. In a world where increasing discord threatens the fabric of existence, such traditions are a delightful respite not just for Lebanese belonging to the Christian faith, but those that carry the joy of Christmas in their hearts. How can I partake in Lebanese Christmas Traditions? Easy – simply open your heart to the gift of giving. With Ceylon Exchange, this means making your love felt across the distance, through timely money transfers back home. Contact us today to find out how to stay true to the spirit of Lebanese Christmas traditions! In an increasingly interconnected world, senior travel is fast becoming a popular pastime. Crossing international boundaries and defying odds, many elderly citizens lead lives young travel enthusiasts can only dream of. If you’re considering your own international adventure or are even looking to journey within Australia, therefore, what tips do you need to know before you leave your front door? Covering money matters, travel insurance, travel companions, and more, continue reading our blog this week for the best pointers for senior travel. Adventures await! For senior travellers, finding comfortable accommodation needs to be a top priority. While no one questions your ability to ‘rough it out’, choosing a comfortable hotel or resthouse at a convenient location will allow you to better enjoy your vacation. This way, you won’t be inconvenienced by the discomforts of budget accommodation or excessive travelling to and from tourist hotspots. If you face budgetary constraints, Airbnb provides competitive pricing for modest homes and villas. Take a look at all your options before settling for the perfect spot! If you’re daunted by the thought of solo travel or have medical conditions for which you require assistance, taking a friend or loved one along is a great idea. Not only will your travel experience infuse your bond with more meaning and memories, but it also makes things more affordable and enjoyable! Even for senior travellers that have their sights set on adventurous experiences or locations that may prove challenging, a travel companion is the best way to offset common concerns. For trips abroad, converting money prior to departure is important if you wish to avoid excessive conversion fees and remain within your budget. In this regard, Australia is home to numerous currency exchange companies. Make sure you locate an organisation that offers competitive rates and exchange your money before you board your flight. Beware, however, of exchanging currency at the airport. Such dealers are notorious for charging excessive costs, which may even be comparable to the international fees you’re trying to avoid. Another important tip for senior travel is securing travel insurance. While this is important for travellers of any age, elderly adventurists are more likely to fall sick or hurt themselves. In the event something does go wrong, travel insurance also insulates senior citizens from expensive treatments and medication – a legitimate concern for loved ones back home. While most senior citizens are at the peak of health, nowadays, being cautious while you travel is extremely necessary. In this regard, watching the food you eat abroad, is extremely important. Wile street food may seem exciting and adventurous, consuming these may very well do more harm than good. Further, if you’re on any kind of medication, it may not be wise to partake in overly-exotic meals. Unless you’ve cleared specific meals with your doctor, avoid unfortunate dietary interactions by sticking to a more controlled meal plan – especially when you’re far away from home. Another important tip for senior travel – do not carry valuables with you when you travel. Whether this means flashing that hard-earned Rolex or dangling glistening diamonds on your ears, avoid doing so in order prevent losses or mishaps. Senior travel is a rewarding pastime for care-free souls. Given the many adventures that await you beyond the confines of your home, journey to places you’ve always dreamed of today. In this process, however, ensure that you plan well, stay vigilant, and make smart decisions. By following the tips set out above, guarantee nothing but smooth sailing on your whirlwind adventure. Looking for ways to make senior travel more convenient? At Ceylon Exchange, our currency exchange services and money transfer facilities guarantee to make senior travel more convenient. Contact us today for more ways in which we can help. When it comes to long distance relationships, being away from home is often harder than imagined. If you’re an adult and have your own life thousands of miles away, therefore, finding ways to care for parents often becomes rather challenging. In such situations, what are the best ways to ensure your old folks are loved and looked after? Hailing from a tradition of hard work and sacrifice, here at Ceylon Exchange, we know what it takes to make difficult choices. In credence to this, our blog this week takes a look at the best ways to care for parents over the distance. When it comes to caring for elderly parents, their safety and security are likely to be a top priority. In this regard, doing some quick research on home alarm systems and elderly care services are useful. This way, if you have the cash to blow for sophisticated home systems, you can use the latest of technology to stay updated with your parents’ health, medication, movements, and home security. These features can be leveraged through a number of innovations, particularly futuristic apps that allow for automated caregiving. 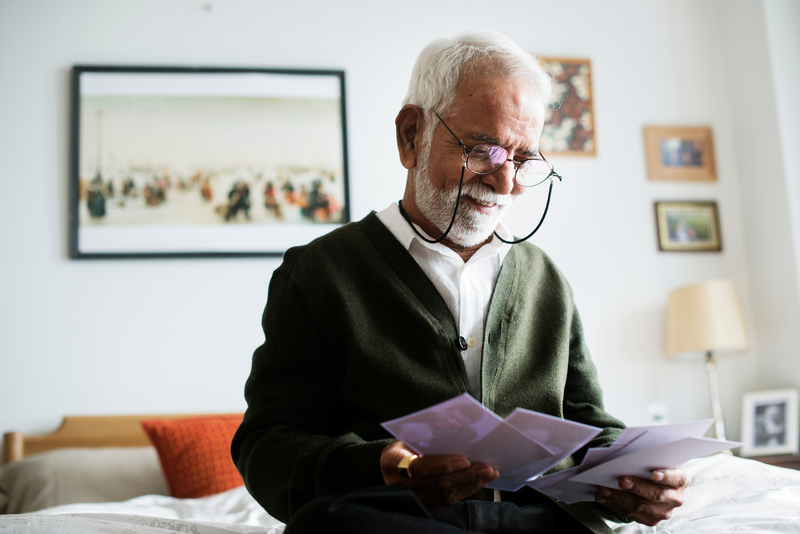 Even if you ensure your parents are well looked after and have all the facilities and services they need, sending the cash is a surefire way of bringing a smile to their face. Not only will this allow them to indulge in an occasional sugary treat or a splurge on their next shopping expedition, but also lets them know they’re always on your mind. Here, choosing money transfer services that are expedient isn’t all that’s important. Make sure your service provider is one with a reputation for being customer-friendly. This way, if you need to send across a quick cash pickup, you ensure that your parents are in the best of hands. More than material possessions, elderly parents often crave more meaningful conversations and connection with their children. If you find yourself thinking you’re too busy for a quick chat, check yourself. At a time where your parents are at their most vulnerable, meeting their emotional needs is just as important as the physical. Here, setting up something as simple as Skype or WhatsApp can make this process significantly easier. Even quick FaceTime calls on your commute to work or back home can make a world of a difference! Another way to care for parents is to ensure that they maintain an active social life. Here, by encouraging them and helping them to create a circle of friends and caregivers, you give them a form of leisure even money can’t buy. Whether this means asking your friends to drop in for visits or slotting them to attend local events geared for elderly citizens, make sure your parents are on their feet from time to time. This way, they won’t feel lonely or wholly dependant on you – two factors highly important for their long-term wellbeing. Alongside not communicating frequently with our parents, most of us are also guilty of not visiting them enough as well. Making time to see them, by yourself or with your family, however, is equally important in the caregiving process. Having raised you from birth, the separation anxiety brought on by long distance relationships can often be hard to dispel. By flying or driving across the distance to see your parents, you show them that they not only mean the world to you but that you still appreciate the sacrifices they’ve made, over the years. Another way to care for parents across the distance is to hire a caregiver to take care of all their needs. If your parents are too old or frail to clean up after themselves or cook anything, hiring someone to do these for them can bring about an unparalleled peace of mind; both for you and your parents. This way, you can also ensure that they’re eating the healthiest of food and have a clean and happy environment in which they can thrive. Giving the advancement of technology and the range of services available today, figuring out how to care for parents is no challenge. By taking some of our recommendations into consideration, set your parents – and your mind – at ease. How else do I care for parents across the distance? At Ceylon Exchange, money transfers don’t just form a core of our service; they’re also the perfect way to care for parents. Contact us today for more on how can help make the caregiving process a walk in the park. A bona fide college experience is generally authenticated by the bouts of frugal living international students frequently face. If you’ve just moved to Australia as a university student, therefore, figuring out how to save money is likely to be a top priority. From avoiding takeout every night to making the most of on-campus facilities, our blog this week provides a handy checklist for students struggling to stay within their budget. Take a look below and find out exactly how to save money as a university student in Australia! College life can be exhausting. You’re constantly late for class, you don’t have the time to call your parents, and you’re struggling to meet assignment deadlines. With this kind of harried lifestyle, ordering takeout is convenient in more ways than one. This, however, represents one of the biggest dents to your wallet as a young international (or locals) student. While you may find that the outrageous offers at McDonald’s or Dominos are too good to miss, takeout can ruin your finances in the long run. In this regard, it’s far better to cook for yourself as much as you can. Beyond saving money, it also proves to be a much healthier exercise! While drinking straight out of the tap might be considered foolhardy in certain parts of the world, in Australia, you’re considered a fool if you don’t. While forking over a few dollars here and there may seem like a trivial expenditure, bottled water bills can rack up significantly over time. If you’re figuring out how to save money, simply invest in a reusable (and environmentally friendly!) bottle and refill it as many times as you like! For students wondering how to save money while staying fit, using the university gym is an obvious start. Without shelling an arm and a leg for expensive gym memberships, using freely available facilities is key to staying financially stable. Given the resources and facilities in most Australian universities, there’s usually little to complain about in the way of gym machines and equipment. For international students, hitting the town almost every night may seem likely a sorely tempting option in the first few months of university. You will soon find, however, that your finances are significantly depleted – requiring another emergency money transfer for essentials like food or rent. While you don’t need to be completely reclusive in order to stay within your budget, picking where and how often you go out is necessary for effective cost-cutting. If you’re not keen on working while you study, holding back on unnecessary outings is one of the top tips on how to save money in university. It seems like every Hollywood movie depicts college students as those who make constant runs to Starbucks to meet the pressures of student life. Those who try to maintain this illusion during their college years in Australia, however, soon find that this is an expensive habit that only becomes harder to kick. If you can’t make it through a lecture without a cup of joe, you will find that it’s far more affordable to purchase coffee from Coles and make yourself a cuppa before you head out. For those scratching their heads over how to save money as an international student in Australia, attending free events – especially those hosted by universities – can amount to satisfying savings. In this regard, make sure you stay updated with your university calendar and attend events where there’s bound to be free food! Not only is this a money-saving move; free food is bound to switch up your diet as well! For those struggling to figure out how to save money as a university student, the tips set out above are some of the most sustainable ways to do so. While no university experience is complete without tales of near starvation or endless instant ramen, there’s no need to live in constant frugality or difficulty. This is especially for those who still find ways to send money back home, while they pursue their higher education. Figuring out how to save money while taking care of your family? 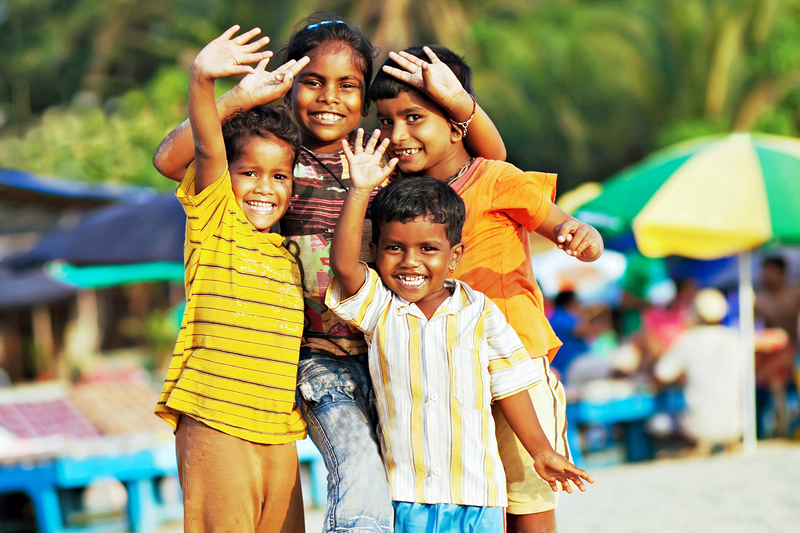 With Ceylon Exchange, figuring out how to save money on money transfers is no sweat. With our competitive rates and exciting offers, send money to anywhere in the world right away! For Pakistanis in Australia, staying in touch with life back home isn’t as challenging as it seems. Given the plurality and diversity of the Australian continent, finding events specifically geared to the interest, traditions, and practices of people of various ethnicities is no harder than a quick Google search. Thus, for Pakistanis, both young and old, male and female, finding engaging events and activities is now easier than ever. As a testament to this, we’ve put together a quick list of the best events for Pakistanis in Australia. For activity and engagement that will strengthen your communal bonds and bring you closer to your motherland that lies thousands of miles away, continue reading our post below! For those wishing to revisit the wonder of Pakistani spices and aromas, the Flavours of Auburn Cooking Class is likely to prove the perfect opportunity. Beyond just preparing and sharing scrumptious dishes containing some of the country’s finest cuisine, the event is also hosted by House of Welcome – an organisation supporting people from refugee and asylum-seeking backgrounds in the Cumberland area. Show your support for a worthy cause and enjoy Pakistan’s most delectable dishes on Friday, the 23rd of November 2018. Find out more and purchase your tickets here. For many Pakistanis in Australia, Mehendi still remains an important form of cultural expression. Given its prominence in pre-wedding celebrations, especially the Rasm-e-Heena (Mehendi ceremony), perfecting this art is likely to be a top priority or even a fun recreational activity for those away from home. At Melbourne Henna in Talyors Hill, Victoria, enthusiasts can sign up for individual lessons or group classes and master exotic, oriental Mehendi designs. Tap into your creative spirit and give life to a piece of Pakistan through these interactive training courses. For Pakistanis in Australia planning on tying the knot soon, including a piece of home is the icing on the cake, so to speak. At Australia’s premier South Asian Wedding Expo, visitors can meet just about every wedding and event specialist under one roof. With over 20 vendors with expertise in areas such as wedding decoration, photography, Henna designs, music, catering, make up, and more, pick nothing but the best for your special day. For those who need entertainment and a pleasant ambience while they shop, there’s even live music courtesy of a DJ and South Asian guest performances! Scheduled for the 3rd of February 2019, find out more and get your tickets here. Scheduled as a part of the inaugural 2019-2021 World Test Championship, the good news is that Pakistan cricket team will take on Australia in the land down under in 2019. The bad news? You may have to wait as late as November to witness this thrilling display of skill and sportsmanship. Nonetheless, given that this will be the first time this momentous tournament will touch Australian soil, Pakistanis in Australia will undoubtedly be beside themselves with joy about reconnecting with their home roots through a sport that’s deeply meaningful to the South Asian region. Find out more about the fixtures here. For Pakistanis in Australia with a strong cultural streak, staying true to a homeland as vibrant as Pakistan is strengthened every day. By engaging in deeply meaningful activities such as mastering the art of Mehendi, learning to prepare the perfect gulab jamun or even organising a flawless Nikah, find the balance between your motherland and your home away from home in the land down under today! Keen to find out other ways in which Pakistanis in Australia can reconnect with their homeland? Contact us at Ceylon Exchange today and send money to Pakistan! We offer competitive rates starting as low as $12 for Pakistanis in Australia. Transfer over $300 and enjoy ZERO transfer fees!